Stop being rude. If you don't like his work, don't download it, it's that simple. Thanks for making us new hairstyle's for the game! 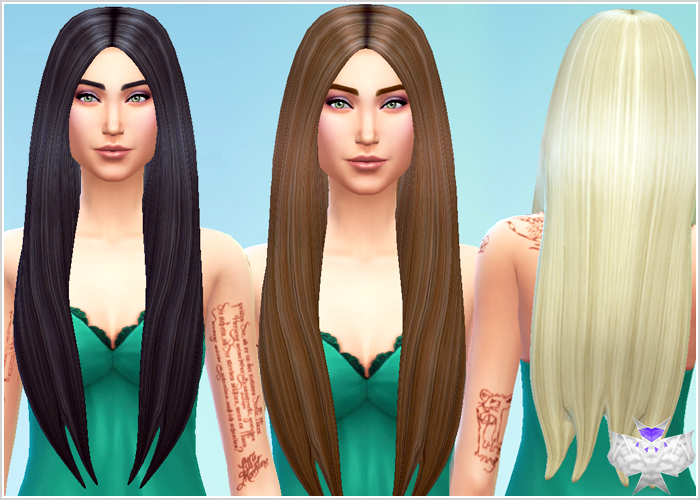 I love long hair on my Sim's the longer the better lol Great job! Thank you so much for creating so many cool hairstyles for our sims! ^_^ This one is among my favourites!! The hair looks perfect in game! Can I ask why every time I try to download something I like from David Sims page I cant? because it always tries to get me to download something else! I have yet to be able to download anything from his page. Just click in Download, Close Ad, then download the file. My blonde hair must really be affecting me today, but I can't seem to download anything from your page. I get hold of the file yet it says it can't be found or there's no program to open it. I wish to have these hairs in my game, but I'm getting a little frustrated that they won't download correctly. Lovely hair, but the hair's ends are distorted if placed on a sim with the largest breasts possible. ok so I downloaded this hair went into my game and it was acting weird. The hair that is. It was going threw my sims body. /I thought that I should address the issue to you I hope you do not mined.